When you are thinking of letting your property, the first step is to obtain an accurate market valuation. Our experienced residential lettings team can provide you with a realistic valuation that will take a balanced account of the current market conditions to help you make the right decision when letting your property. During our free consultation, we will listen carefully to your needs, advise you of the rental value of your property and outline how we will rent it for the best possible price. All you need to do is complete the Contact Us Form at the bottom of this page. We will then telephone you to arrange a suitable time to visit your property. Why Let Your Property Through Brywins? 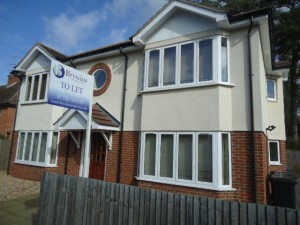 Brywins specialise in Residential Lettings and Property Management. Our knowledge of the local property market, combined with experienced and friendly staff, enables us to offer an enviable service to all, but don’t just take our word for it, please click on this link and read some of our testimonials from satisfied clients. Please read our helpful guide to Letting Your Property.